Lately, Jeremy has been putting in lots of hours at work. For those who might not know, he is a program director for the YMCA. Well, right now he's in the middle of basketball season, meaning he has to be there until everyone clears out of the gym at night. This gets him home late after working a very long day. Since we only have a few late night hours to spend together and he usually comes home super hungry, I like to have something special waiting for him after he works a long day. This week, I made some S'mores. Yes,the beloved campfire treat. 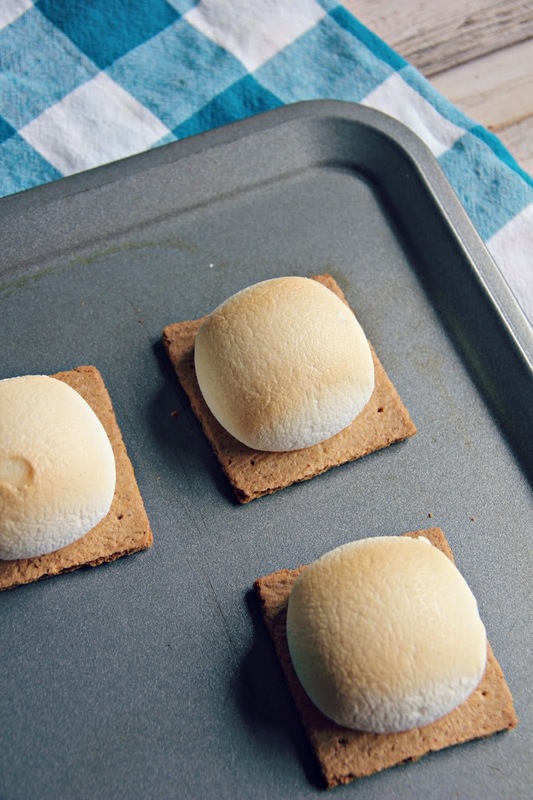 Well, there was no campfire used to make these deliciously gooey snacks. I simply used the oven! Yes, the oven. Honestly, I think they came out even better than they do when you use a campfire. It's also crazy simple anddd takes less than ten minutes. 1 - Preheat your oven to 400 degrees. 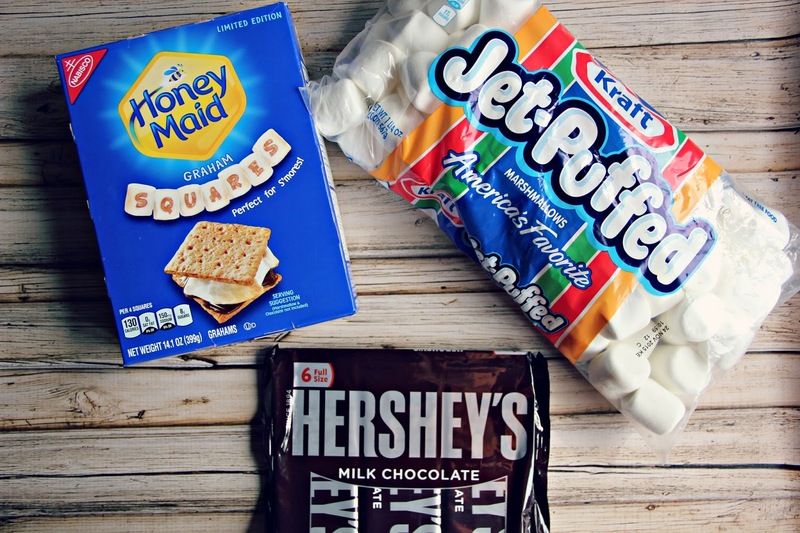 2 - Place Honey Maid Graham Cracker Squares (available exclusively at Walmart!) and Kraft's Jet Puffed Marshmallows on a cookies sheet. 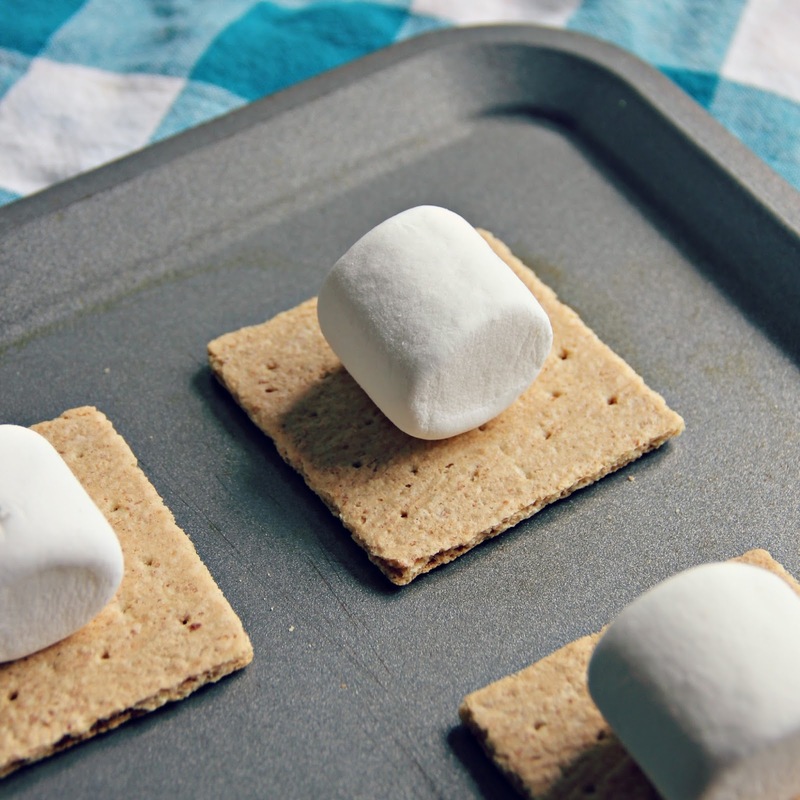 3 - Bake in the oven for five minutes, or until marshmallows are golden brown. 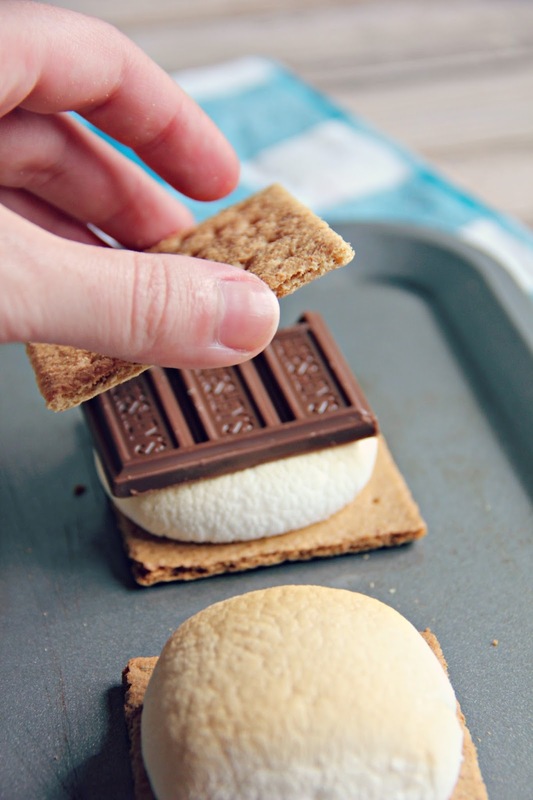 4 - Take the cookie sheet out of the oven and add some Hersey's Milk Chocolate to the marshmallows. 5 - Top with another piece of graham cracker. 6 - Let them sit for a few minutes before enjoying. This gives the chocolate enough time to get realllly melty and the marshmallows will be verrrry hot when they first come out of the oven. That's it!! Seriously, the easiest recipe (do you even consider this a recipe?) ever. It's the perfect treat to make to surprise your spouse, and especially when the rain ruins your outdoor plans. 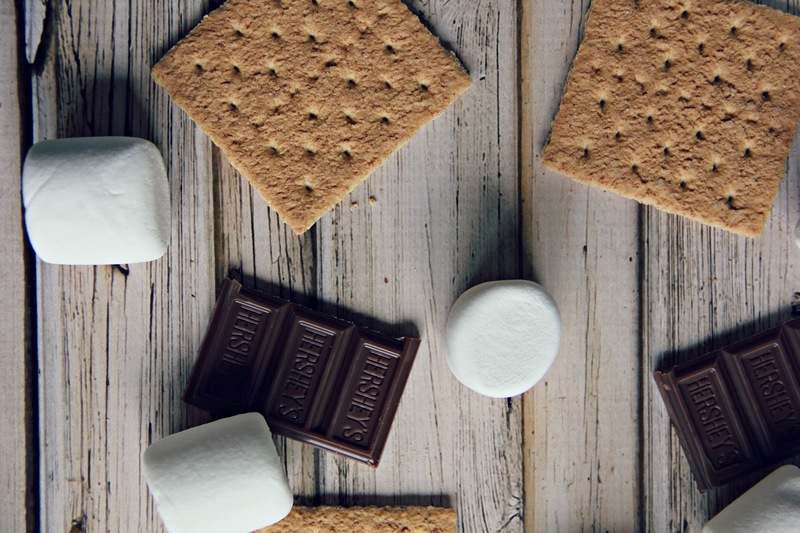 You don't need a campfire to enjoy this amazingly sweet treat. Now, it's your turn. 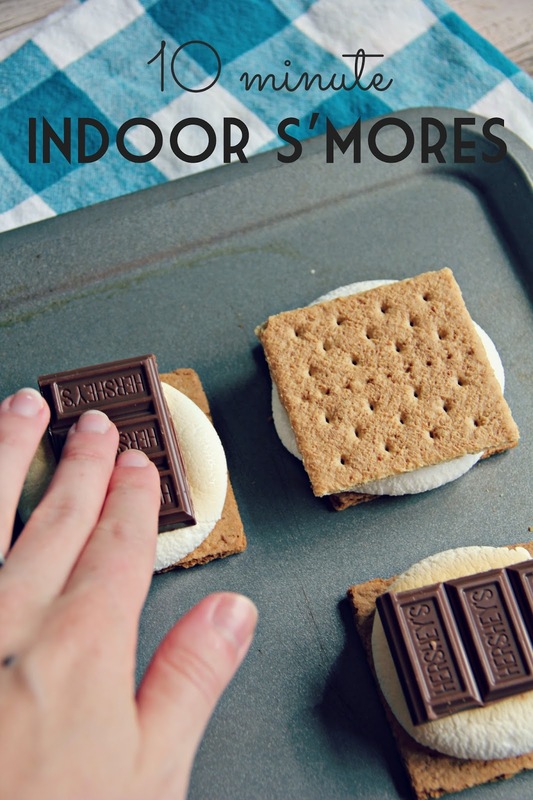 I'd love to hear your favorite way to make and enjoy S'mores! Those look delicious! 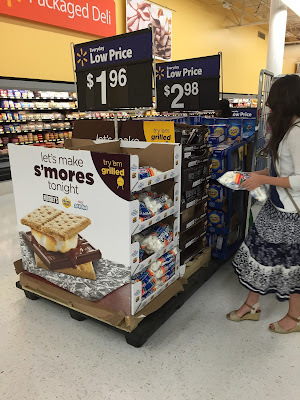 I never thought about making s'mores in the oven!